I hope everyone enjoyed their Thanksgiving holiday. I know I did! I am still full and enjoyed the amazing leftovers today. Thanksgiving is usually a set traditional menu. My family does not like to have their Thanksgiving day menu altered. Is your family the same? Well this year I tried to switch things up. My new additions were a apple-cornbread stuffing and pumpkin croissant bread pudding with milk chocolate chunks. Both dishes were a huge success and will be on my table next year! 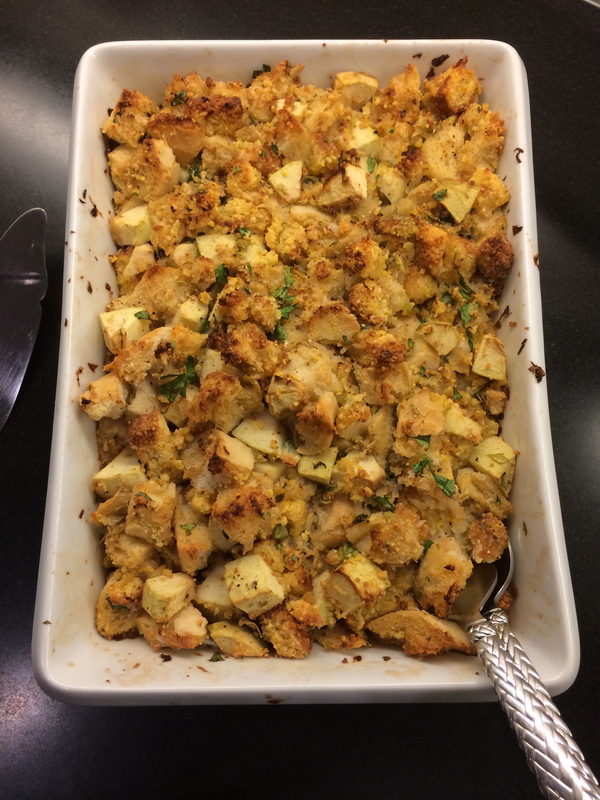 The apple-cornbread dressing is from Cuisine At Home. A friend of mine makes it every year and has always said that it is the best. Preheat oven to 375, coat 9 x 13 baking dish with butter or nonstick spray. Sauté the onion and celery. Add the apples and remaining ingredients. Mix well and loosely mound into prepared dish. Cook for 45 minutes until the top is golden brown. 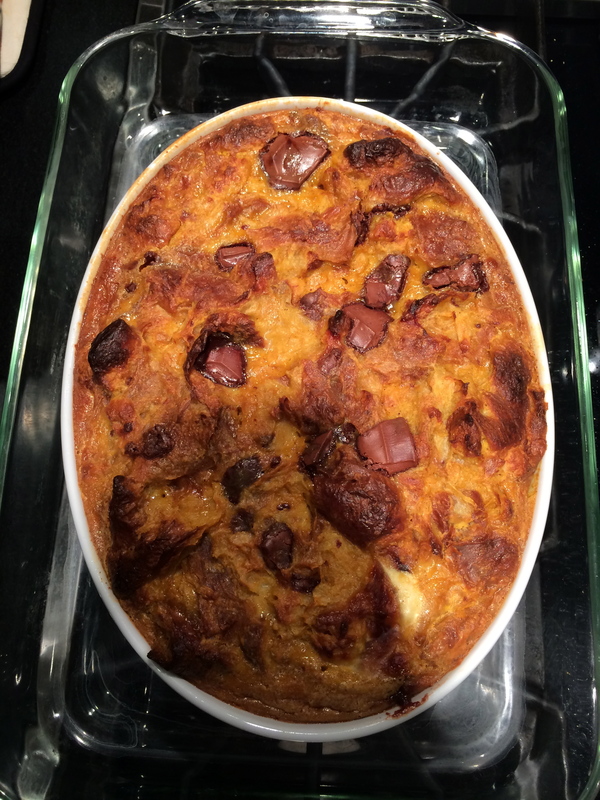 The pumpkin croissant bread pudding with milk chocolate chunks is from Sweet Paul Magazine. 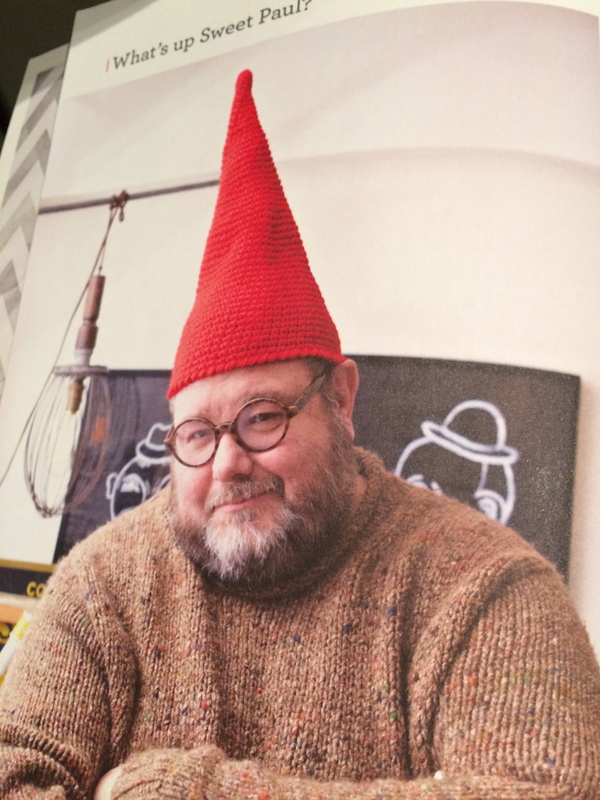 I have a crush on Paul and his publication. The recipe is from Adam Woods who is the winner of the Sweet Paul Happy Dish Recipe. This dish will make you very happy even the day after you create it. This dessert is easy to make and has the perfect balance of flavors. Preheat oven to 375 and butter baking dish. In a large bowl, mix all the ingredients except the croissant and chocolate. Then, tear the croissants into pieces and add the chocolate chunks to the above mixture. Pour into a baking dish and bake for 45 minutes. You can serve this warm or at room temperature. Did you try any new recipes this Thanksgiving? If so, please share with me in the comment section. ← A special evening at Sushi Nakazawa. I LOVE bread pudding!! And to have one made with croissants, sounds heavenly. I will be making it!! !